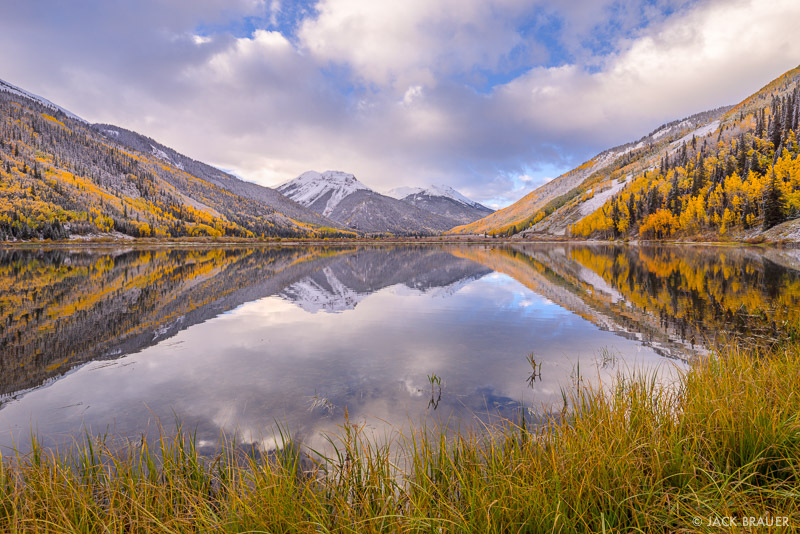 Morning reflection of the Red Mountains and golden aspens caked with fresh autumn snows. 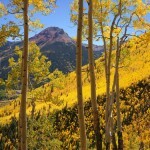 San Juan Mountains, Colorado – September. 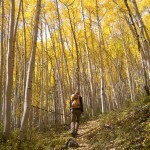 Is there ever a more beautiful time and place than autumn in the aspen forests of Colorado? I seriously doubt it. Mr. Moose agrees. More photos below! 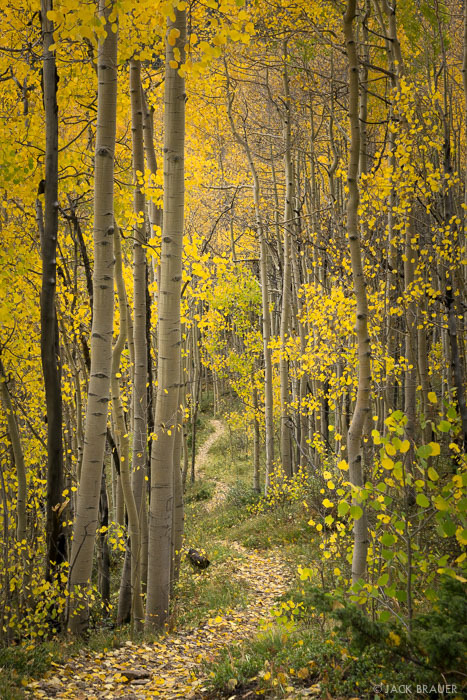 There’s something so enchanting about walking through the golden quaking aspens, like walking through a cathedral in nature. 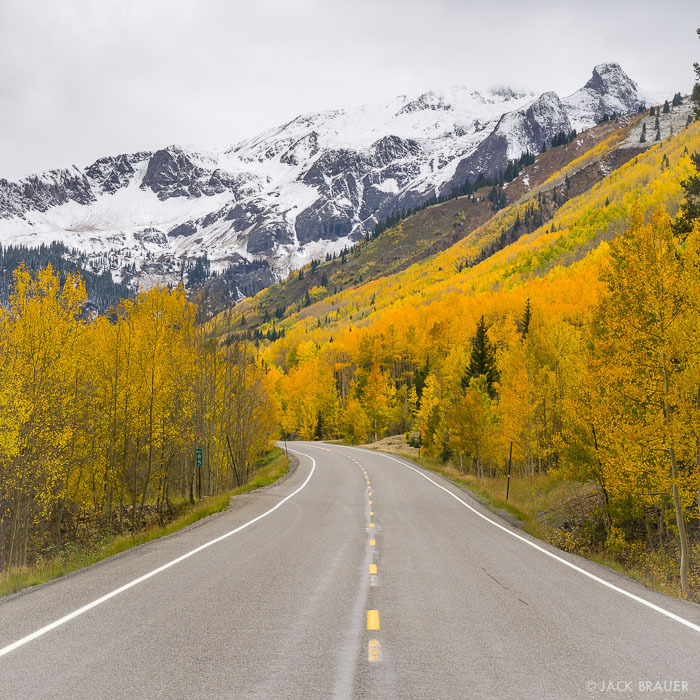 Red Mountain Pass, between Ouray and Silverton – September. 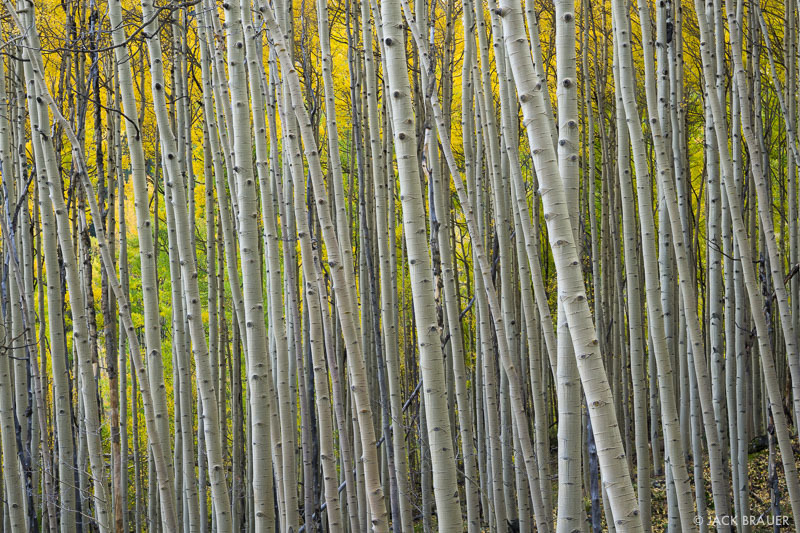 Looks like it’s another wonderful, colorful autumn here in Colorado! 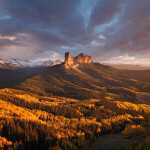 Posted in Colorado and tagged Colorado, San Juans on October 1, 2014 October 1, 2014 by Jack Brauer. 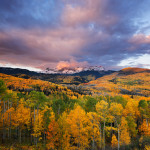 ← Previous: "Stormy Sunset over Potosi Peak"
I’m running out of adjectives Jack! Superb! Singlehandedly this group of pictures had me seriously considering a spontaneous road trip up that way. Thanks for helping me feel like I made it! 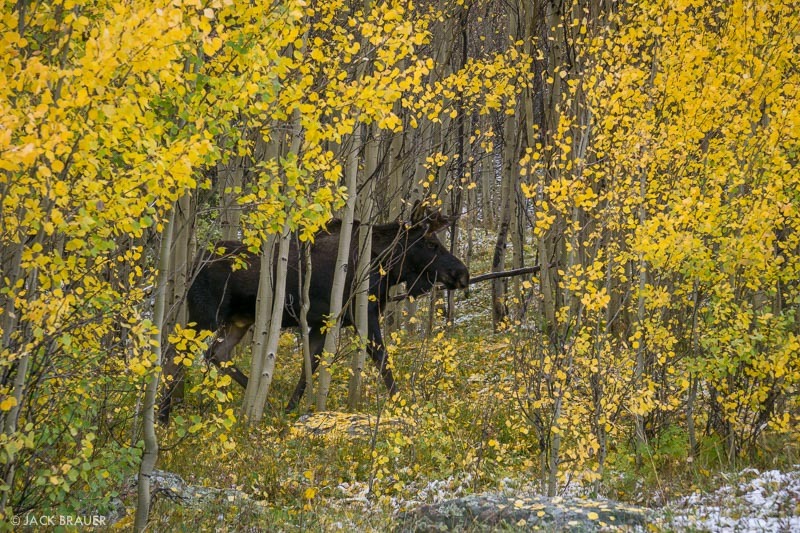 Moose in CO? Never considered that they were there before. Nice!